If you ask history buffs and people who are old enough to remember what their bathroom looked like in the 50s, chances are they’ll answer pretty much the same thing — the bathrooms back then were often pink. But how exactly did this trend come to be, and how can modern-day homeowners incorporate this design craze into their own bathrooms? 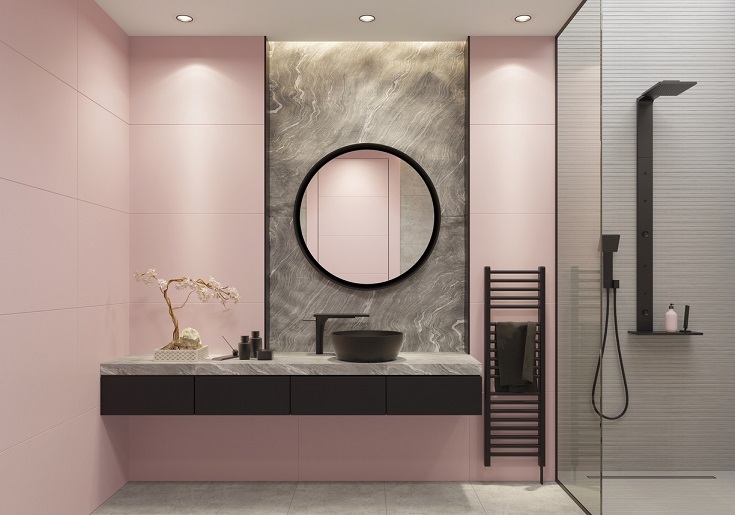 In today’s blog post, master bathroom remodeling expert DreamMaker Bath & Kitchen of Elizabethtown explains how pink bathrooms became a quintessential part of mid-century homes and how to successfully implement this trend today. The popularity of pink bathrooms can be attributed to several factors, the most notable one being First Lady Mamie Eisenhower. She liked the color pink so much that she redecorated the private quarters of the White House in the cheery color. Another contributor to the rise of pink bathrooms was post-war exuberance. Americans also took a shine to vibrant colors such as turquoise and candy apple red, but pink dominated the bathroom scene. While all-pink bathrooms tend to look tacky, you can still incorporate the pink motif into your modern bathroom. Pink is actually a good color for bathrooms as it gives you that much-coveted healthy glow. Stick to accent pieces in the same color family, such as towels in blush or a sink with a splash of salmon pink. You can also use millennial pink for your tiles to give your bathroom a pop of bright-but-not-overwhelming color. As one of the leading bathroom remodeling contractors in the area, you can count on DreamMaker Bath & Kitchen of Elizabethtown to turn your dream bathroom into a reality. Call us today at (717) 298-3830 to get started on reimagining your living spaces.